Functional decor with dry erase sheets! I have a set of these sheets on our front schedule board. In previous years, I just wrote the schedule on the whiteboard itself. But that always took up a lot of space, so I decided to use one of our front bulletin boards for this purpose. Cool side note: You can even round the corners with that little rounding tool! I really like how the schedule stands out a bit more visually, rather than a bunch of my handwriting (which isn’t the best!). I feel like the kids reference the schedule much more this year and that is wonderful to see! 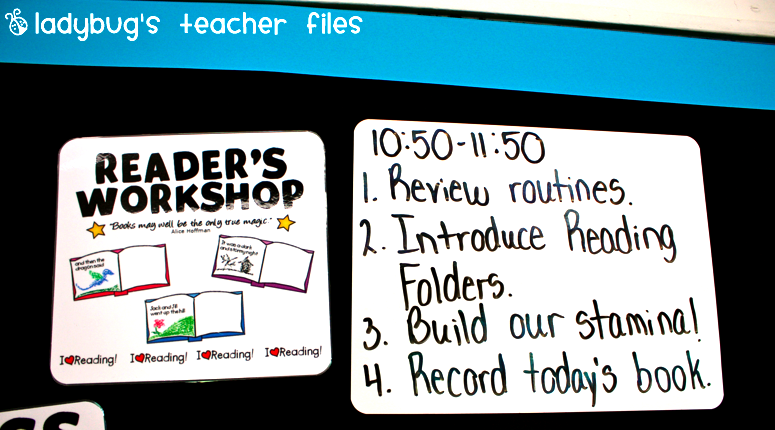 But my favorite use for the dry erase sheets is on our Reader’s and Writer’s Workshop boards. 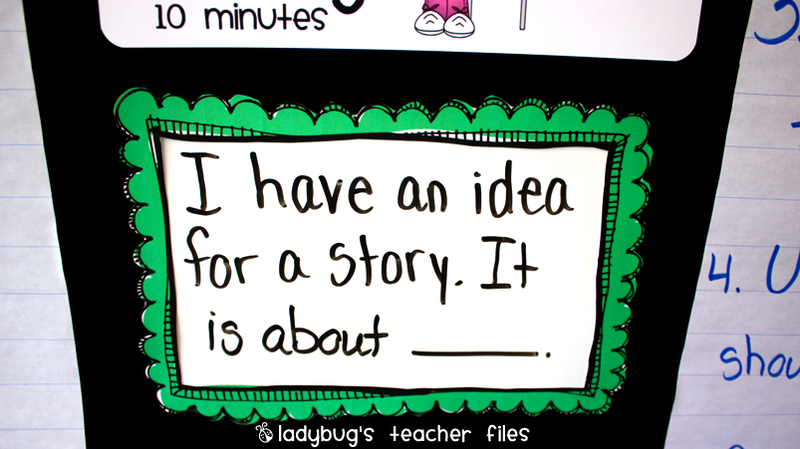 The lessons we follow always have a sentence frame to help the students share out learning with a partner or the whole group. 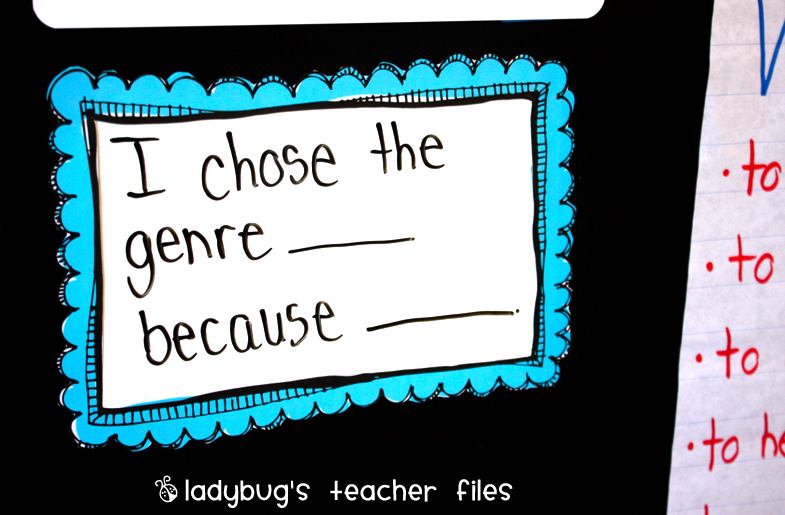 It is recommended we use sentence strips, but I don’t really use them much since my students are older. Actually, I have to admit, when I saw those initial lessons, I thought…frames? I LOVE FRAMES!!! 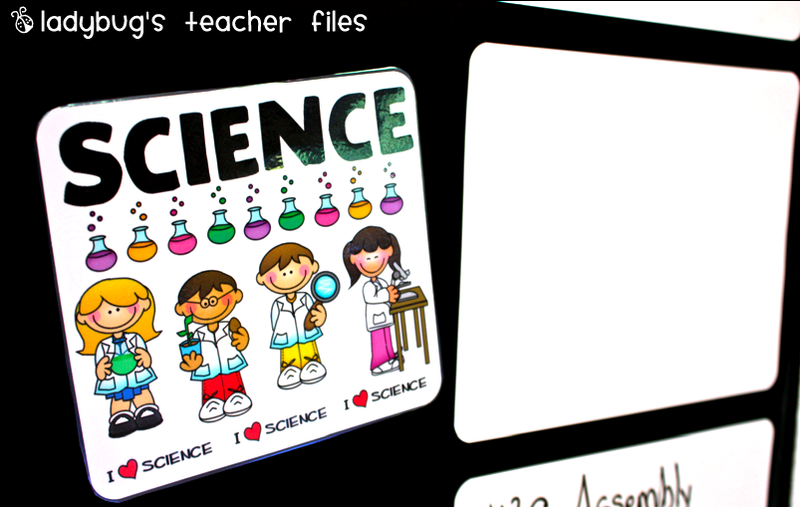 So I printed out a couple of my favorite ones on cardstock, cut them out, taped them over a dry erase sheet and…voila!! (This provided a little talking point about the different meaning of “frames” as well!). These sheets are the perfect size for this kind of reference chart and they will save so much paper-wise! I’m revamping our calendar math with them next…more on that soon. Where did you purchase them? I also love the frames. Where are they frame? LOVE this idea. LOVE this idea!!! I REALLY like your frames! Where did you get them from? Thank you both! The paper is from Amazon (there's a green link to it at the beginning of the post) and the frames are from KPM Doodles. i just awarded you the Versatile Blogger Award! Have a great week Kristen! I have nominated you for the Versatile Blogger Award! Thanks for sharing your wonderful ideas! Go to my blog for more info! I'm giving you the Versatile Blogger award too! You are amazing! I was wondering, how well do the sheets erase? Can you use any kind of dry erase marker on them? I have read reviews of other brands that say they don't erase well. Missme-thanks for telling me, I love to hear when someone can use an idea! Amy, I don't have a problem with them. I use expo dry erase markers and they work ok (fine-tipped ones). I actually use a Magic Eraser on all of my whiteboards in the room and they erase nicely. What a great idea! It is useful and environmental friendly!